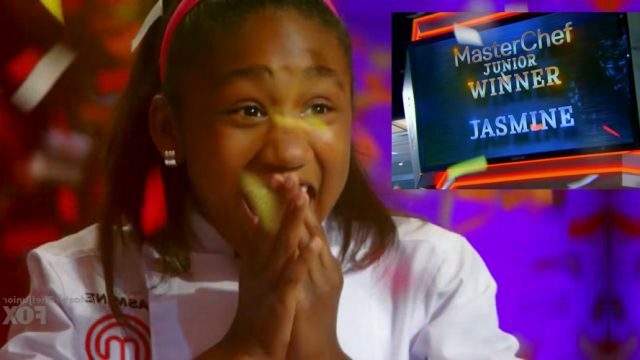 Jasmine Stewart won the MasterChef Junior trophy as well as a $100,000 grand prize as she was crowned the new MasterChef Junior champion Thursday night on the Fox network in a two-hour-long finale. Watch her journey and then the winning moment in the videos below. The show kicked off on February 9 and Jasmine’s journey was nothing but remarkable. She made her way from ‘Top 40’ to ‘Top 20’ to ‘Top 12’ before being eliminated after a baking challenge, but she cooked her way back into the competition into the ‘Top 6’ after winning a game-changing ‘comeback’ challenge. 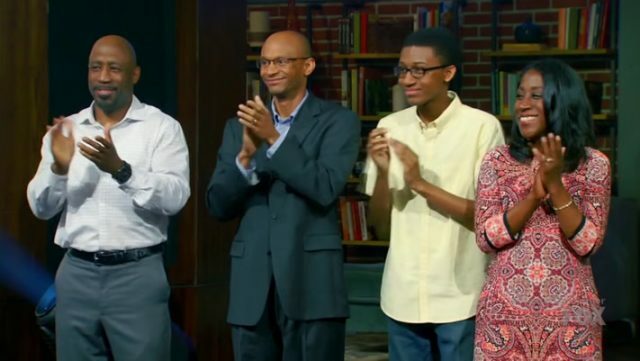 Stewart’s Jamaican parents and family were ecstatic with cheers and applause when co-host Gordon Ramsay announced Jasmine Stewart is the new MasterChef Junior champion. Jasmine’s family, including her mother, Deborah Stewart. The FOX series, hosted by Gordon Ramsay British star chef of “Hell’s Kitchen” and renowned pastry chef Christina Tosi, give kids that chance to showcase their culinary skills and passion for food in a series of challenges varying in difficulty. “Some of the highlights of the show was winning of course,” Jasmine told The Atlanta Journal-Constitution in an interview. Tasked with creating a “finale worthy three-course meal,” which would be judged not only by Ramsay and Tosi, but also renowned chef Wolfgang Puck and Martha Stewart, Jasmine channelled her Jamaican roots to create a crispy, white fish and scallop fritter appetiser served with a red pepper peanut sauce and jerk spiced green papaya salad. She then created an entree of Jerk lobster tail served with coconut curry, sweet potatoes, peas and finger lime caviar. For dessert, a sticky rum cake served with coconut whipped cream, guava puree and a pineapple chip.